This vehicle ready interface provides 5 CAN channels and was originally designed to allow different CAN protocols to be combined on one vehicle and included the ability to route from each CAN channel to selected other CAN channels. Each CAN channel could also be configured for different baud rates and would buffer messages as needed. 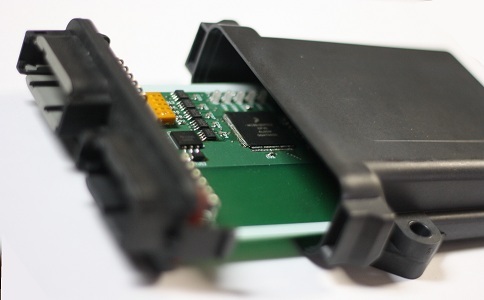 Other firmware versions can allow for the "spoofing" of CAN data between channels to allow for changes to be made to the data as it flowed through the interface.